The third llama blog hop has officially launched. I do hope you take the time to go check it out. You can start by clicking Stampin Llamas Occasionally Occasions Blog Hop. It will take you to the main page of the blog and you can begin your tour there. The card I'm sharing with you today was made before I even started on my contributions to the llama blog hop. I wanted a clean and simple card and I'm thinking it will be one of the cards we'll make in my Valentine's Day Card Class. With the busyness of the past couple of days, I'm keeping this post short. 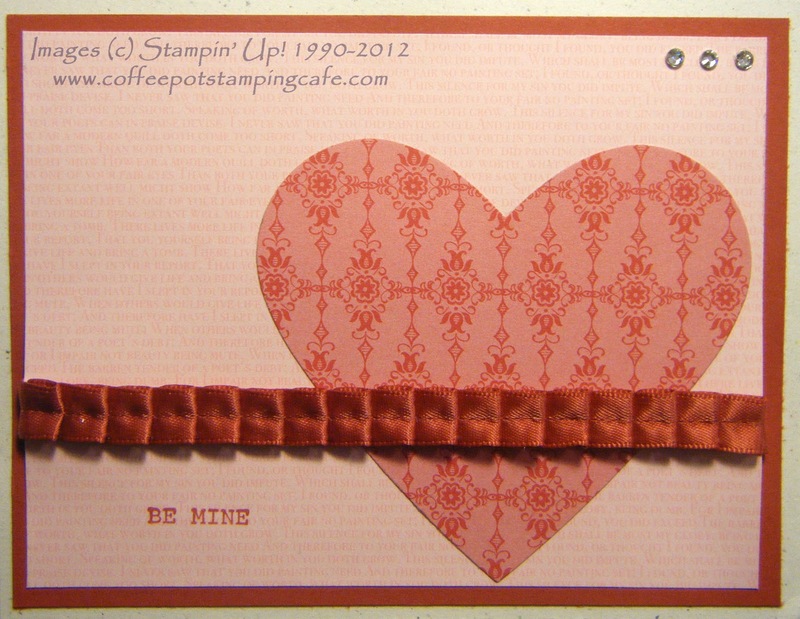 Be sure to check back Monday for the new Schedule of Events at the Coffee Pot Stamping Cafe.